Through the Act of Supremacy in 1534 Henry VIII declared himself the head of the Church in England, and anyone who opposed him was charged with treason. To assess the state of religious life in the country Henry ordered a thorough investigation of every religious house. 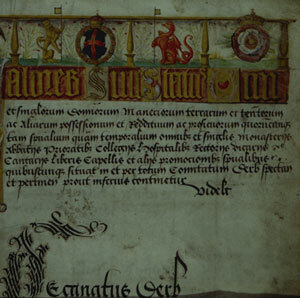 As a prelude to this he conducted a survey, known as the Valor Ecclesiasticus, to evaluate all the property that belonged to the Church in England and Wales - and that he could later claim. This extensive survey was commonly known as ‘the King’s Book’ .